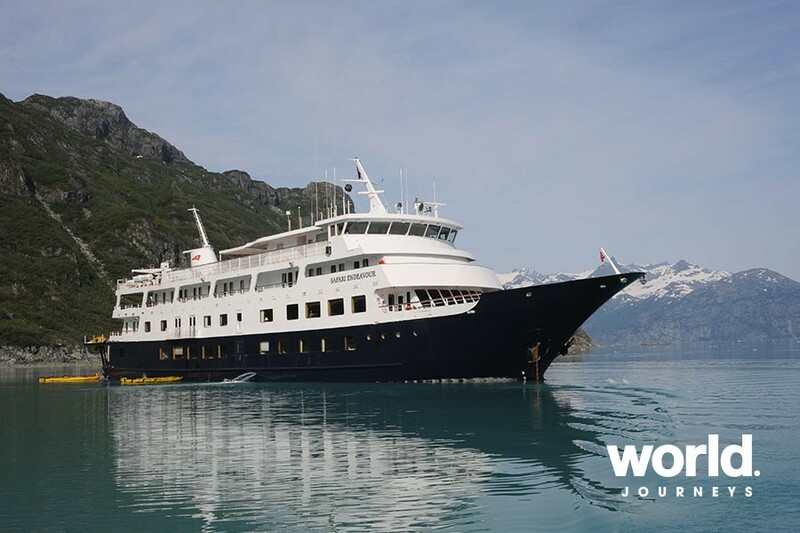 Enjoy a small ship glacier adventure with UnCruise Adventures, visiting LeConte, Baird, and Sawyer and South Sawyer glaciers. Look for wildlife - eagles, arctic terns, black and brown bears, sea otters, harbor seals, sea lions, and whale watch in Frederick Sound. 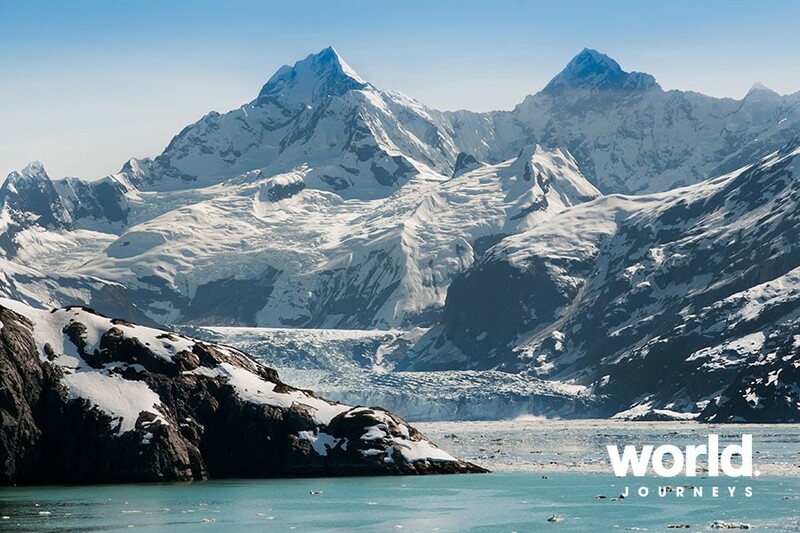 There is a range of activities you can choose from including hiking on the terminal moraine of Baird Glacier, boardwalk, bushwhack, and trail hiking in Tongass National Forest and kayaking and paddle boarding in hidden coves and narrow fjords. 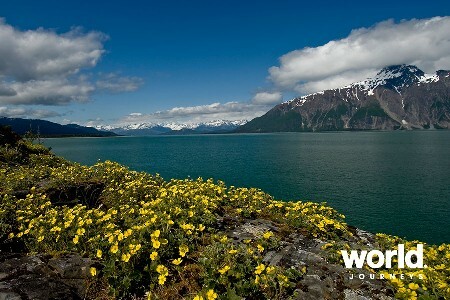 Experince the amazing Tlingit native culture on a private village tour of Kake. Day 1: Juneau, Alaska - Embarkation Welcome to Alaska's capital, where your home on the water awaits. 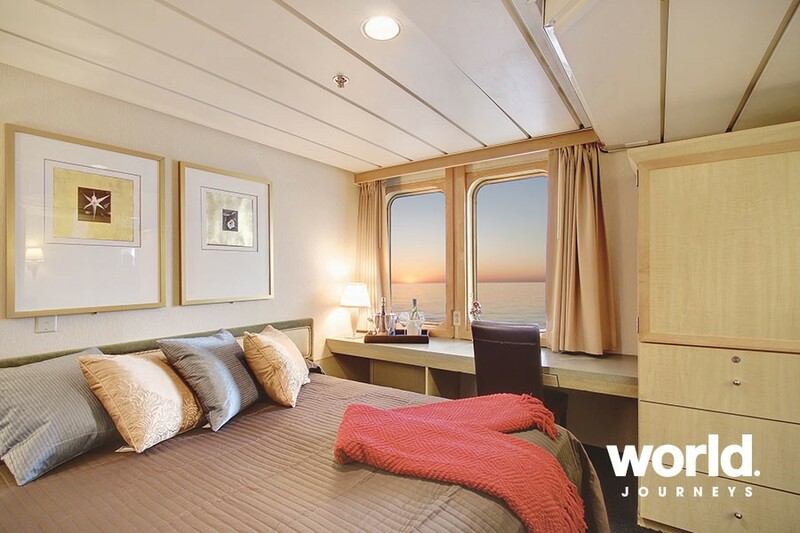 Come aboard, meet your crew, and unpack your adventurous spirit. 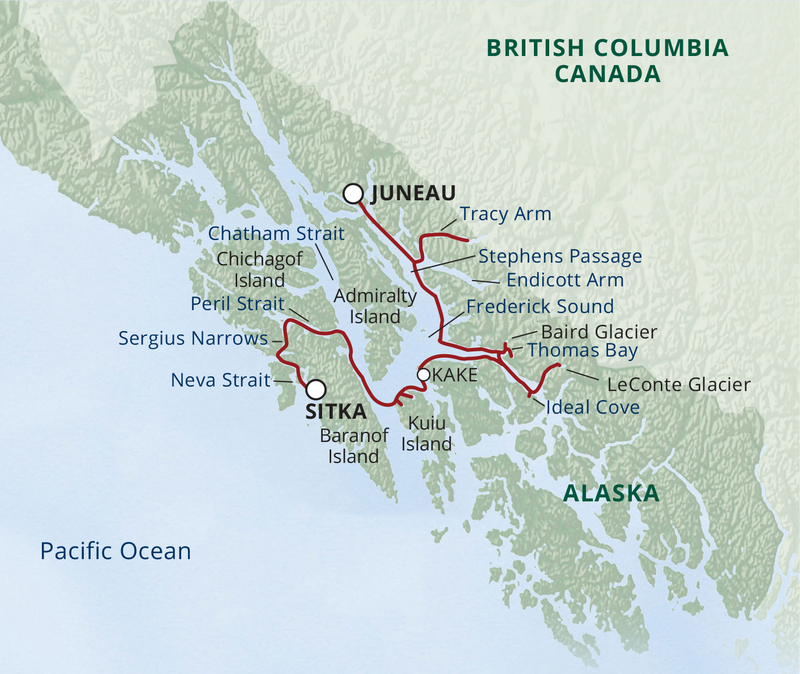 Your course is set for glaciers, and the Tongass"”the largest national forest in the U.S.
Day 2: Tracy Arm > Stephens Passage Wake in a fjord flanked by sheer granite walls. Grab a hot cup of joe and take it all in from the bow. Cascading waterfalls. Drifting icebergs. A lazy harbor seal or two. Layer up with gloves and a warm hat, and hop in a skiff for a better look at the glacier"” the temps drop the closer you get. Your expedition guide clues you in to signs of the ice ages that carved this landscape. The geology is fascinating and so is the wildlife. Keep an eye out for mountain goats, bears, and eagles. Make waves for Stephens Passage. It's all hands on deck watching for signs of humpbacks. It's a big first day! Day 3: Thomas Bay > Baird Glacier Have your rubber boots handy. You're in for muskeg and mud in Alaska's backcountry. Hiking along Baird's moraine, look for shimmers of gold and quartz"”this area is known for it. The glacial outwash plains look almost lunar, but you're not alone in this moonscape. The glacial valley is a nesting hot-spot for arctic terns. Splash away the mud before a paddle along the bay's mossy cliff walls. Back on board, it's time for a cocktail and a soak in the hot tub. 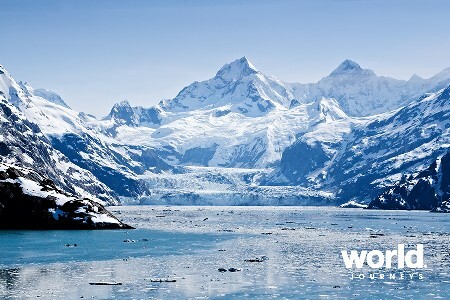 Day 4: LeConte Glacier > Ideal Cove LeConte is the southernmost tidewater glacier in North America. If tides are low, take a boot-sucking walk to check out icebergs resting on the mudflats. If it's high tide, a skiff ride brings you up-close to its iceberg gardens. Surrounded by national forest, Ideal Cove's boardwalk trails wind through meadows of ferns and grasses. Or test your balance paddle boarding in this quiet cove. It's just you and the vast wilderness. Day 5: Kake >Frederick Sound "Kake" comes from a Tlingit word meaning "opening of daylight. " Apropos, start your day in this native village with traditional storytelling and dancing. Count the many totems on their 132-foot pole. Drop the kayaks in Saginaw Bay or some other hidden cove along the Keku Islands. Black bears are common sights along shore. But so are eagles in the treetops and orange-billed surf scoters paddling nearby. For hikers, your guides have a route in mind. Make for the forest, far off the map. Cruising Frederick Sound, chances are high you'll see humpbacks. 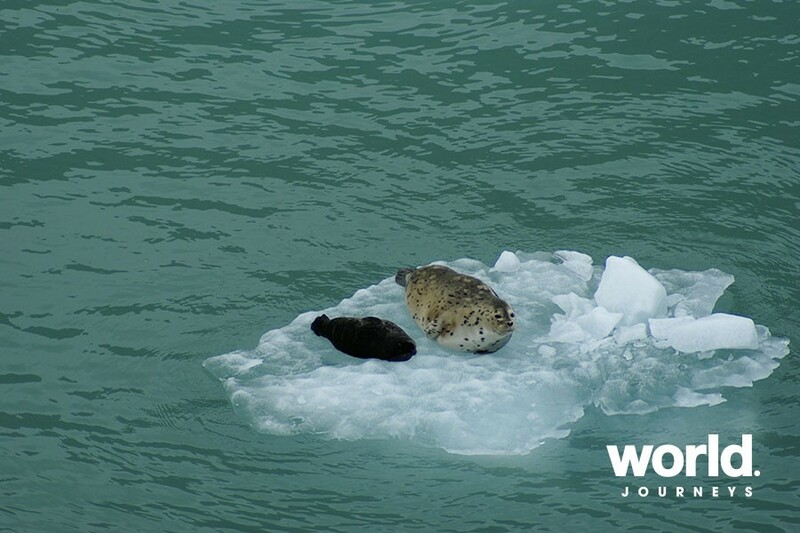 The up-welling of nutrients in the water make it an irresistible feeding ground. 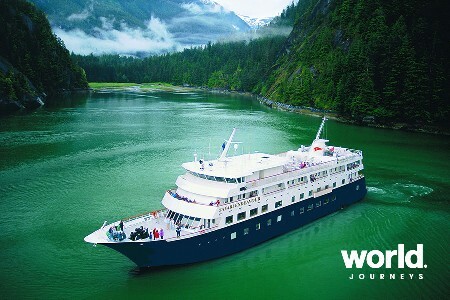 Day 6: Baranof Island > Peil Strait Leave it to the captain to steer you through Chatham and Peril Straits. 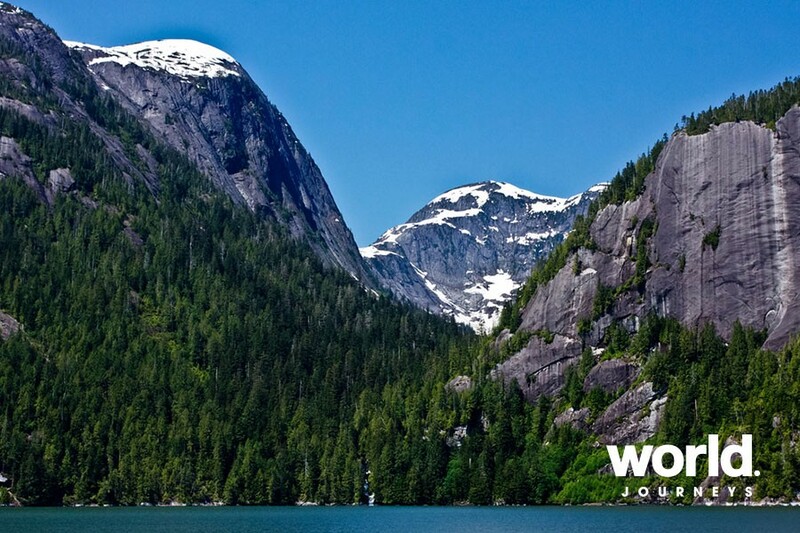 At Baranof Island, your top-notch expedition team has the game plan dialed. 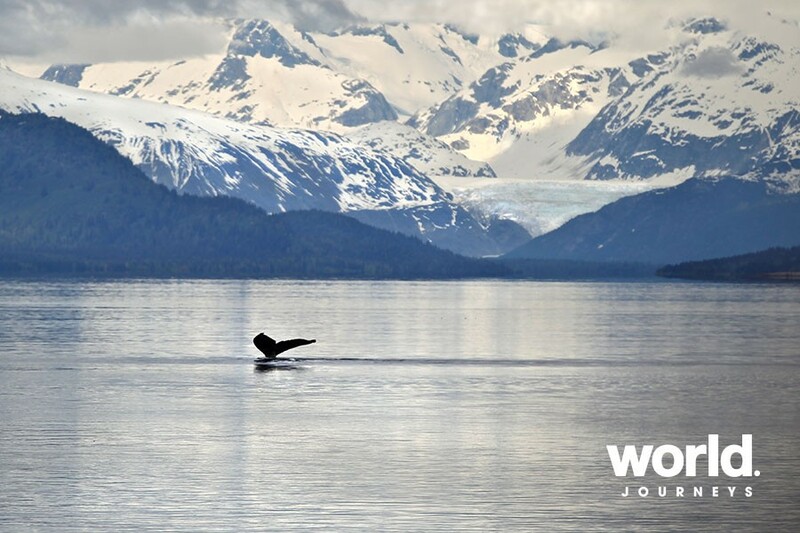 Tap some of the most untouched wilderness in the Tongass. Head to the woods for an adventuresome bushwhack. 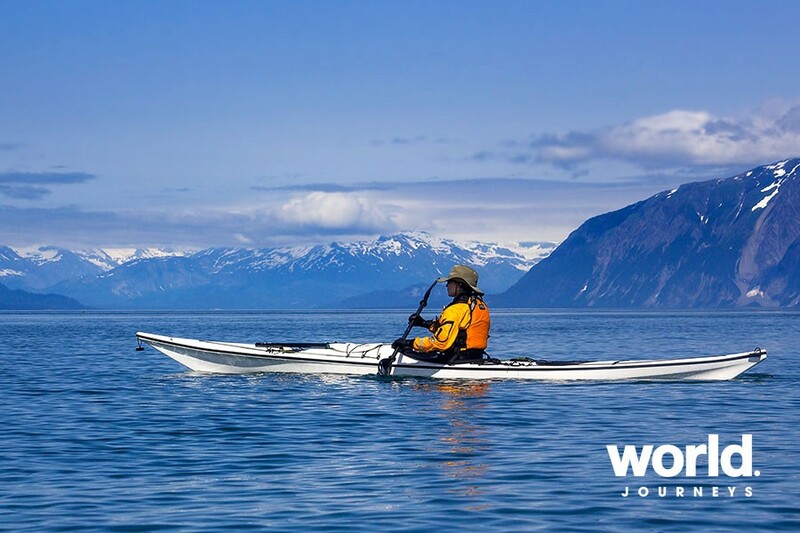 Or slide into a kayak for an easygoing shoreline paddle. Find a perch on deck in Peril Strait"”it's a twisting drama of currents and history. Day 7: Sergius Narrows > Neva Strait There aren't many straight lines along Baranof Island. Its western side is dotted with hundreds of coves and uninhabited islands. This is a prime area for spotting sea otters. It's no surprise to round a corner in your kayak and find one looking at you and you looking at him. The protected beaches are made for exploring the intertidal zones, and spotting bears. So, boot up for a guided hike. End your day with celebration and a toast at a heartfelt Farewell Dinner. 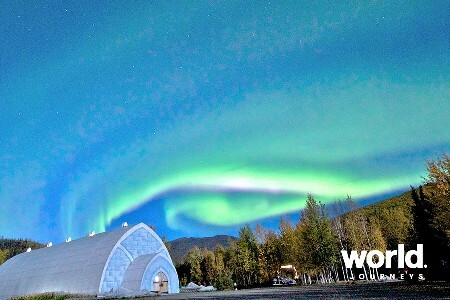 Your expedition team treats you to a photo recap of the week's adventures. Day 8: Sitka "“ Disembarkation A last breakfast with new friends, then disembark in Sitka for your transfer to the airport.